Wollongong Wolves will be out to extend their five week run as competition leaders when Round 6 of the National Premier Leagues NSW Men’s competition gets underway on Saturday. The Wolves have been on top of the table since Round 1 but the chasing pack is hot on their tail. APIA Leichhardt Tigers are Wollongong’s nearest challengers and are getting better each week. This week’s football gets underway on Saturday night with a triple header of matches starting off with Sutherland Sharks hosting Manly United.  Saturday night’s games will also feature Sydney FC taking on Blacktown City at Lambert Park while Marconi Stallions host Sydney United 58. On Sunday, Wollongong Wolves return to their WIN Stadium home ground to take on Mount Druitt Town Rangers and Sydney Olympic travel to Illinden Sports Centre to play Rockdale City Suns. Hensley Athletic Field in the Sydney Suburb of Eastgardens will play host to the weekend’s final match with APIA travelling across town to take on Hakoah Sydney City East. Sutherland Sharks will be desperate to avoid five straight defeats when they take on Manly United on Saturday. The Sharks are rooted to the bottom of the table after a horror start to their 2019 campaign but if their performances have been anything to go by then good results can’t be far away. The Terry Palapanis coached side were moments away from clinching a draw last round but conceded in the 93rd minute to give opponents Sydney United 58 the win. Raul Romero had his best game in a Sharks jersey so far in the loss to United 58 and the midfielder’s performance was just one of many signs from Sutherland that they have much more to give than what fans have witnessed so far. Marc Warren is another player who has been a leading light and the veteran defender’s experience will be important to turning things around. Caoimhin ‘Quivi’ Fowler is a young gun with the ability to break a game open and has experience playing youth football at Eredivisie club Vitesse and Premier League outfit Cardiff City. If he can find some consistency in his play then Manly will have trouble keeping skilful attacking midfielder in check. Their opponents Manly United come into Round 6 in third position and have so far had a knack for late heroics. The Northern Beaches side boast an enviable roster of attacking talent who know their way to the back of the net. Last week’s 1-0 win against Blacktown City proved Manly can grind out a win as well. Shot stopper Dylan Mitchell was a major part of that win and his form in between the sticks is sure to give plenty of confidence to the Manly defence. While their is a big gap between the two side’s positions on the table, the match should be a much closer contest. Manly will want to take advantage of Sutherland’s struggles but the Sharks sheer desperation to end their losing run could be enough to power them to an upset. It could be a game with more than one twist in the plot. Dubbed the original #westernsydneyderby, Marconi Stallions will be hoping their return to winning ways last week is a sign of things to come as they prepare to take on Sydney United 58 this Saturday at Marconi Stadium. It has been a season of mixed result so far for the Stallions with only two wins from their first five matches. Injury and inconsistent form has plagued the Peter Tsekenis coached side but they will be hoping the win against Hakoah Sydney CIty East last round is the kick start they needed to get their campaign back on track. Most promising for Marconi fans is the return to form of cult favourite Mirjan Pavlovic who scored a brace in last week’s 3-1 win. The talented front man will be determined to continue his run especially after being sidelined for most of 2018 with injury. Looking to stop Pavlovic this week will be his former club Sydney United 58. The Reds have been strong performers this season and go into round six in fourth position with two wins and two draws from their opening five matches. Last week United 58 snatched a last minute winner against Sutherland Sharks thanks to a Tariq Maia finish at the death. The Miro Vlastelica coached outfit will be determined to make it back to back wins and close the gap on league leaders Wollongong. Uruguayan import Sebastian Gallegos made his return from injury off the bench and will be looking to return to the starting line-up in coming weeks as well as another new recruit in Peter Simonoski. Expect plenty of excitement from this clash with matches between these sides always featuring plenty of big moments. League leaders Wollongong Wolves will be out to put on a show when they return home to WIN Stadium to take on Mount Druitt Town Rangers on Sunday. Wollongong added plenty of clout to their premiership credentials last round with a 2-0 win against reigning premiers Sydney Olympic. Rookie coach and former Socceroos star Luke Wilkshire should return to the dugout this week after being forced to watch from the stands for receiving a red card in their round four clash. The Wolves appear to be delivering on their potential after years of underachieving and WIlkshire’s off-season recruitment has played a big part. Gone is the club’s previous strategy of bringing in ageing big names looking for a final swan song and instead local talents from the Illawarra Premier League and hidden gems from outside the NPL NSW have helped the team last success. One example of that is Harry Callahan who joined from IPL champions Bulli and has gone from strength to strength since the start of the season. Wolves defender Nikola Djordjevic also earned himself a spot in the Team of the Week for Round 5 with a solid performance as Wollongong held out Olympic’s star striker Alex Sanchez. Their opponents Mount Druitt come into this clash on the back of a horror week where they lost twice in four days and conceded a whopping ten goals in the process. The packed schedule obviously got the better of Aidan Desmond’s side who had up to that point had held their own against the NPL NSW’s top sides. After Sydney Olympic put six goals past them on Wednesday, the Rangers suffered further humiliation as Sydney FC scored four unanswered goals to fight back from 2-0 down. While there was little to smile about from either results, Jordan Gomez and Cooper Coskerie were once again Mount Druitt’s best. If the competition new boys deliver a similar performance to their previous two matches then this clash against the league leading Wolves could get messy. Three catastrophic defeats in a row cost Paul Reid his job as Rockdale coach but will new City Suns boss Nick Porreca be able right the ship on Sunday when they return to Ilinden Sports Centre to take on Sydney Olympic. The board of Rockdale made this decision on Monday after the side slumped to its third straight loss on Sunday as APIA thrashed them 4-0 at Lambert Park to cap off a horror start for a side touted to challenge for the title. It was an unfortunate end to Reid’s tenure in the top job at Ilinden Sports Centre but no the challenge falls to Porreca to rescue Rockdale’s season after a run of poor performances. Despite Rockdale’s embarrassing statistic of no goals scored in three games, Porecca’s first task is sure to be fixing a leaky defence which has shipped nine goals during the same time period. It will be interesting to see how the side lines-up against Olympic with Porecca surely set to swing the axe on a number of Rockdale’s struggling veterans. The injury to high profile off-season addition Panny Nikas is another major concern for the Suns with the team desperate for a win. Olympic will be out to take advantage of Rockdale’s struggles but will be cautious of a new coach bounce in form from the Suns. However, reigning premiers Olympic haven’t had the best start to the season themselves and come into this match after suffering a 2-0 loss to league leaders Wollongong last week. The Abbas Saad coached side has been blighted by inconsistency and have only recorded back to back wins once so far this season. It is surely a concern for Saad as their ability to deliver strong performances week in and week out played a major part in last season’s success. The Olympic defence will be under the spotlight this week with Thomas Whiteside and Mitchell Stamatellis sure to face plenty of action from a Rockdale front third desperate to break their three game scoring duck. While only six weeks into the season, this match could prove to be a turning point for either side. It is sure to be an enthralling contest and one that shouldn’t be missed. APiA Leichhardt Tiger’s Kiwi International Andre de Jong is set for his first match against his former club Hakoah Sydney City East when the two teams go head to head at Hensley Athletic Field on Sunday night. It will only be de Jong’s second match in an APIA Jersey after joining the Lambert Park based club following three successful seasons at Hakoah which included their Waratah Cup win in 2017 and run to the FFA Cup quarter-finals. Hakoah come into the match after having suffered two losses on the trot and will be determined to get back to winning ways. They won’t want their former club star having a field day at his former hunting grounds with Sydney City East coach Gavin Rae sure to implement a strategy to nullify their one time favourite son. Solid defensive performances helped deliver back-to-back wins in the opening weeks for Hakoah but the side has been unable to find that defensive steel over the past fortnight to slump to a record of two wins and three losses from their five games so far. Against APIA they will need to find a way to rediscover that defensive solidarity with de Jong just one of many talented players they will need to contend with. In contrast to Hakoah, The Tigers have taken their game to a new level over the past two weeks with big wins over competition favourites Sydney United 58 and Rockdale City Suns. One player they will need to watch for is Chris Payne who has five goals from two matches. APIA boss John Calleja has his team playing great football and the addition of de Jong to the team is a scary proposition for their opponents. Hakoah has been a little bit of a bogey team for APIA in recent seasons with a handful of big upsets against the Tigers. The Eastern Suburbs side know how to get under APIA’s skin and shouldn’t be underestimated on Sunday.